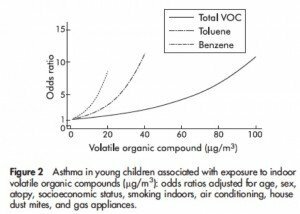 A study conducted by The School of Public Health at Curtin University of Technology found that domestic exposure to Volatile Organic Compounds (VOCs) at levels below currently accepted recommendations may increase the risk of childhood asthma. The VOCs found to cause the biggest increase in asthma were Toluene and Benzene, substances that are commonly found in many house paints. 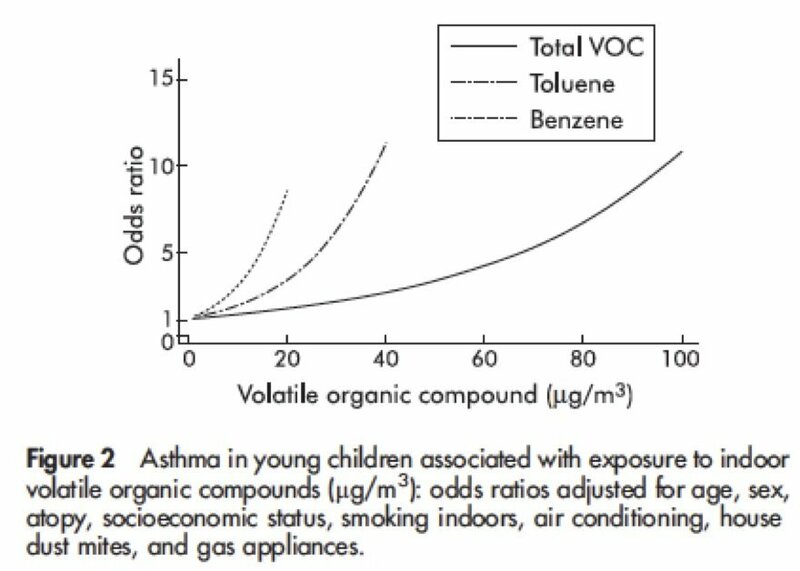 According to the study every 10 unit increase in the concentration of Toluene and Benzene increased the risk of causing asthma by 200 to 300%. The study also concluded that measuring the total number of VOCs rather than individual compounds may underestimate the risks associated with individual compounds. Link Between Household Chemicals and Childhood Asthma?